For many consumers, flowers and trees in spring bloom mean it’s time to hire lawn care and landscaping professionals. In 2018, BBB St. Louis received more than 500 complaints against lawn and landscaping companies. Many complaints alleged dissatisfaction with the services provided. Other complaints reported problems with honoring contracts, on-time completion, and billing issues. While thoroughly researching your options, ask at least three companies for bids based on the same requirements. Discuss the bids in detail with each contractor and ask them about variations in pricing. The lowest-priced bid may not be the best. Remember the rule of thirds. If you’re getting a new patio, deck, or major landscaping, consider paying a third of the contract amount to secure the contract, a third when the work is half done, and the final third only after the job is completed and you are satisfied with the work. Ask for a lawn inspection and free estimate. 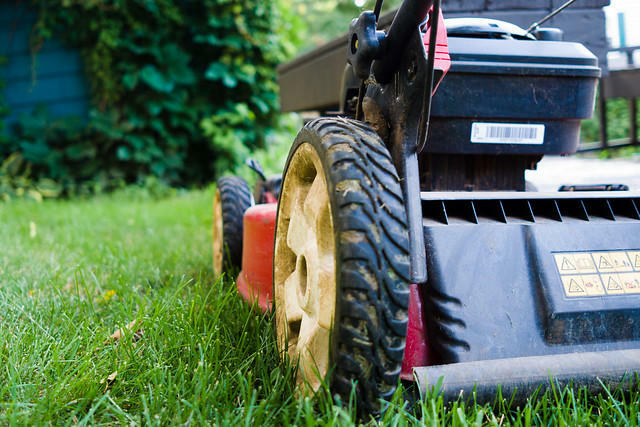 Lawn care companies that quote a price without seeing your lawn cannot be sure of what you need. Ask about the company’s insurance, check with local authorities to find out whether permits are needed, and find out what to do if you are dissatisfied with the service or product. Some providers will replace plants that die within a certain period. Ask for a contract, and get any verbal promises in writing; the contract should describe in detail the services and products provided, the billing rate, and the payment schedule. Make sure it also includes the start date and expected completion date. Check with the service about your parameters with chemical treatments for your lawn and landscaping maintenance. Always visit BBB’s website when using a company you haven’t used before.